​This sponge has a somewhat coral-like appearance due to its tubed structure. It can be composed of one branched or unbranched tube to many interconnected tubes, and reaches 25 cm tall. 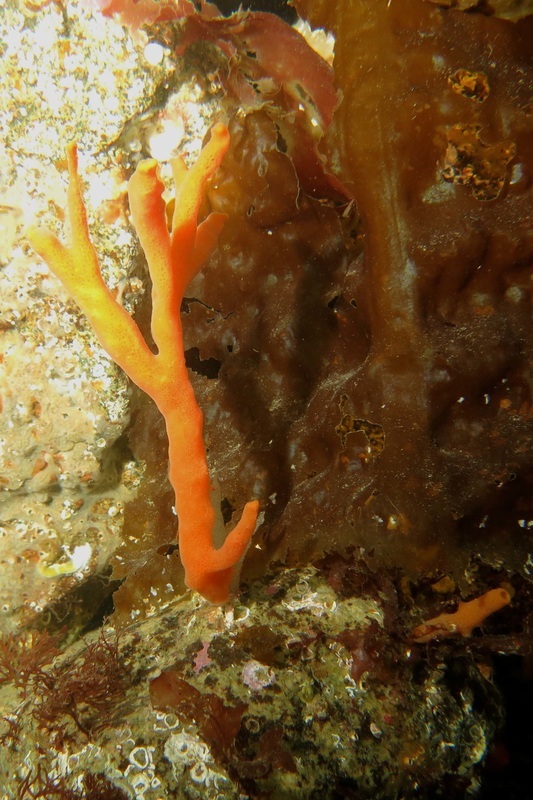 Its usual bright orange colour may be dulled or masked by growths of brown algae on its surface. It is a desmosponge (Class Desmospongiae), meaning its spicules are siliceous. Images of these spicules can be seen on the Race Rocks Ecological Reserve website. 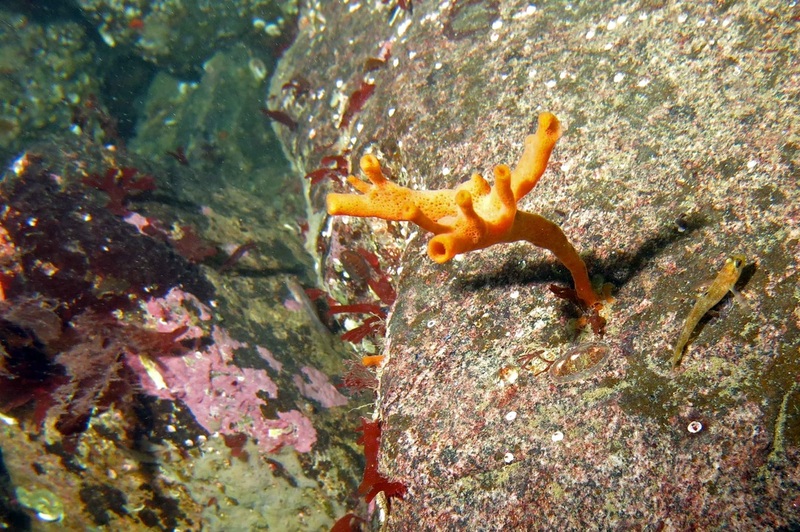 The orange finger sponge grows in the subtidal from 3 to 30 m deep. Its range extends from southern Alaska to northern California. 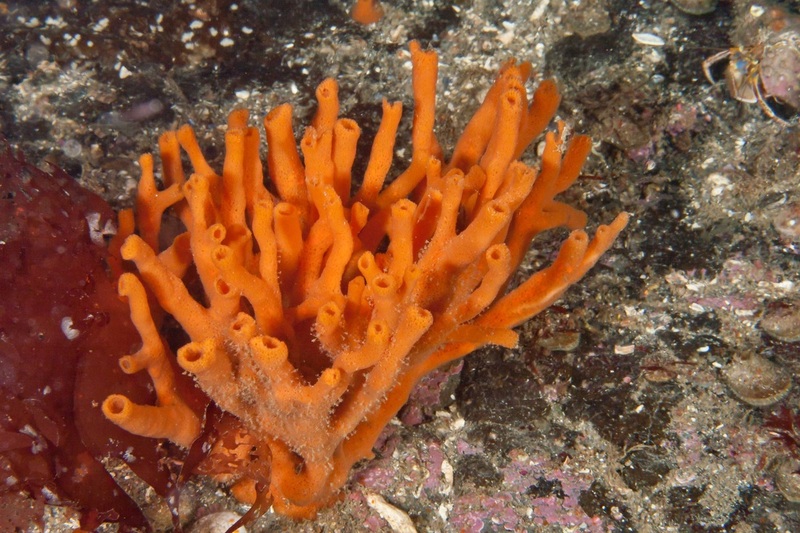 Some fish species lay their eggs inside the orange finger sponge. This sponge is eaten by dorid nudibranchs, such as the leopard dorid (Diaulula sandiegensis), as well as the blood star (Henricia leviuscula). McDaniel, N. (2013). BLOOD STAR Henricia leviuscula. Sea Stars of the Pacific Northwest. Accessed 24/11/2015.